Posted in: Crime Prevention, Media Release, Traffic. 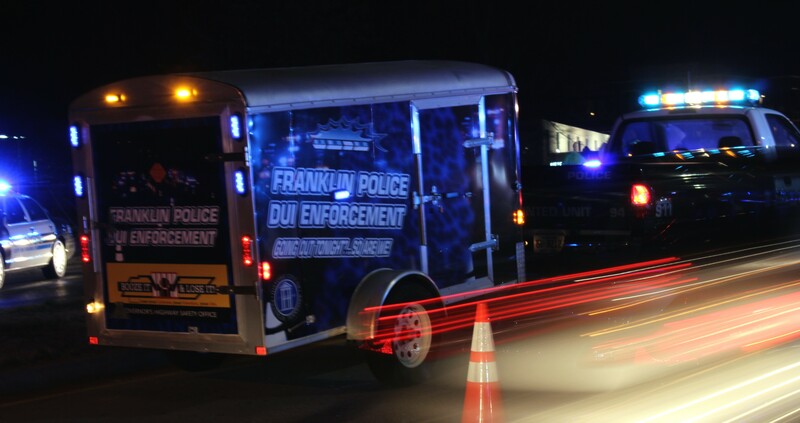 Friday night, the Franklin Police Department will conduct two sobriety checkpoints to help stop impaired drivers. The checkpoint locations on McEwen Drive, and on Murfreesboro Road, are one of many traffic safety measures used to help prevent DUI crashes. We ask Franklin drivers to exercise caution and never drive while impaired. No life is worth losing to drinking and driving. Did you know that Tennessee law requires the pre-publication of sobriety checkpoints? Learn more at http://bit.ly/1HvvYec. For more information about the Tennessee Highway Safety Office, visit www.tntrafficsafety.org, or contact Arriale Tabson at arriale.tabson@tn.gov.